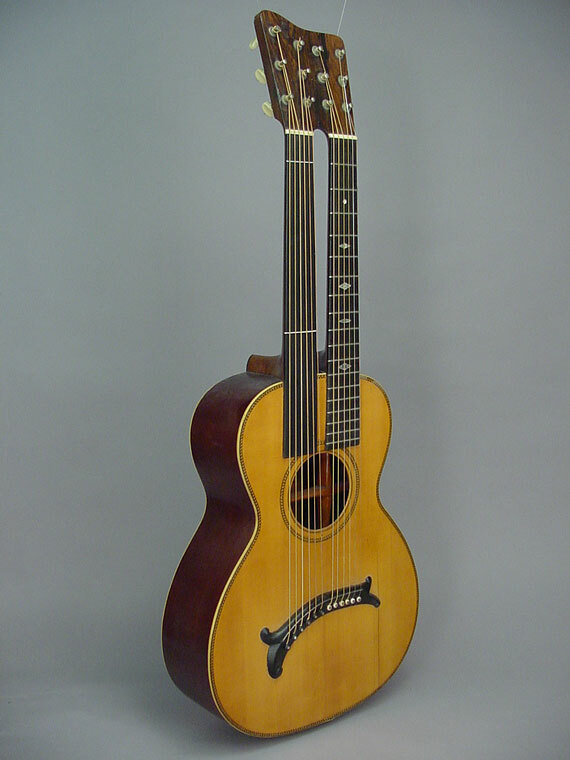 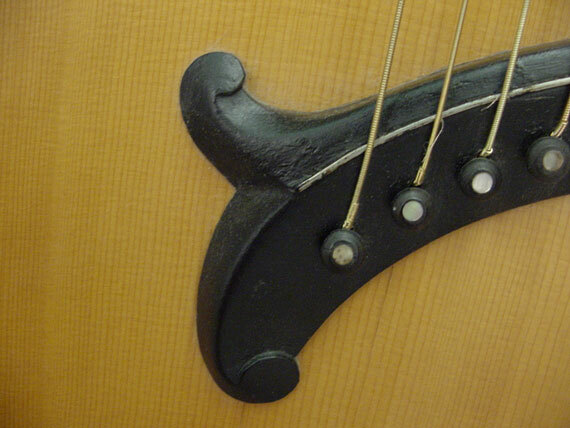 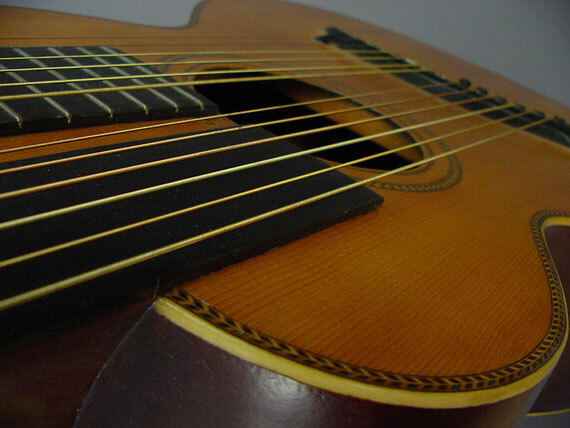 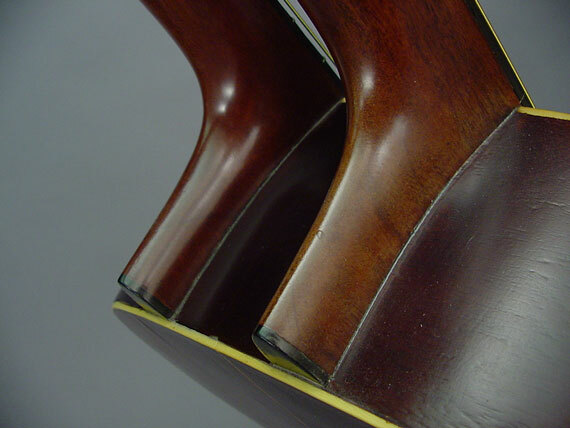 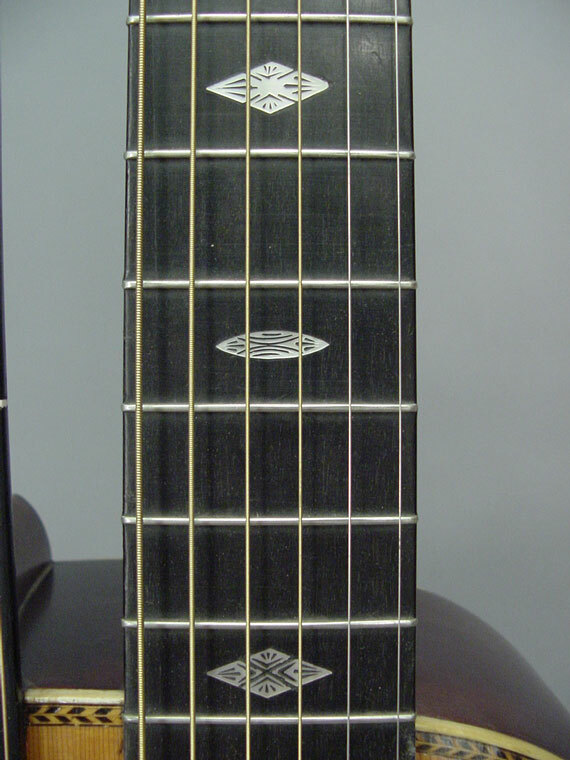 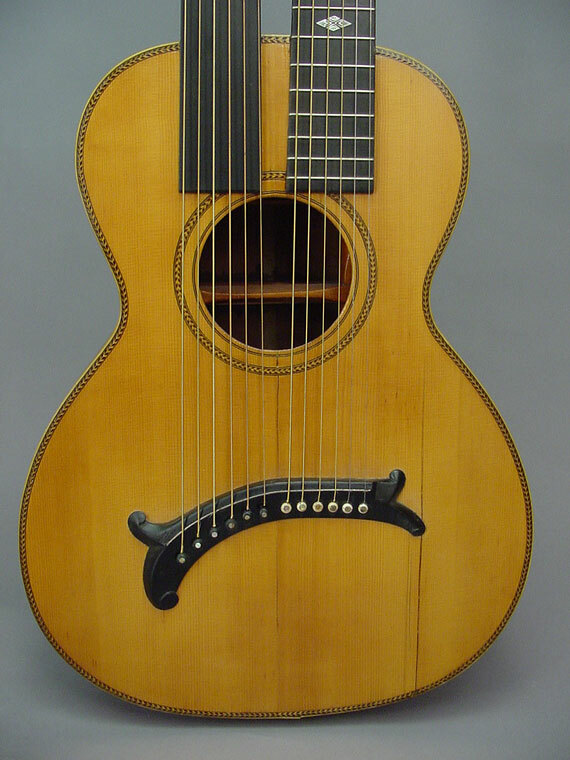 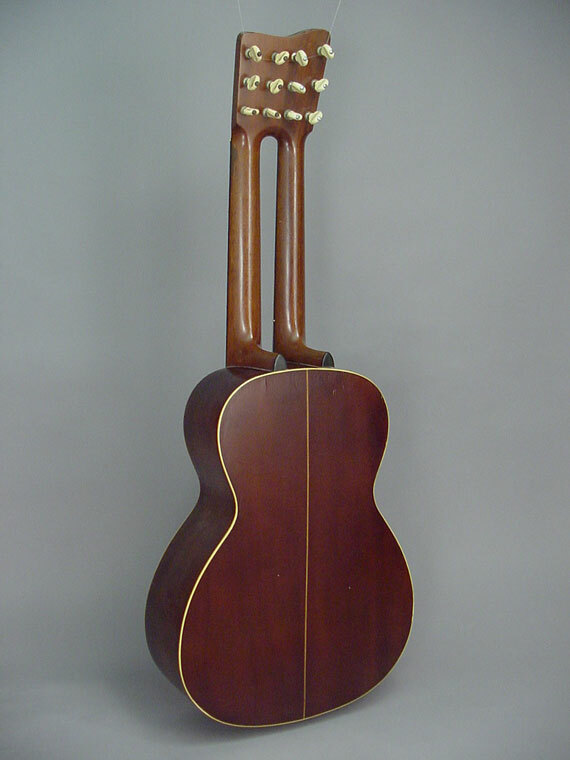 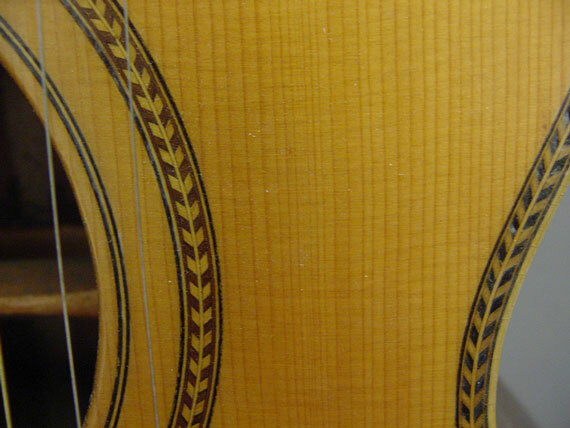 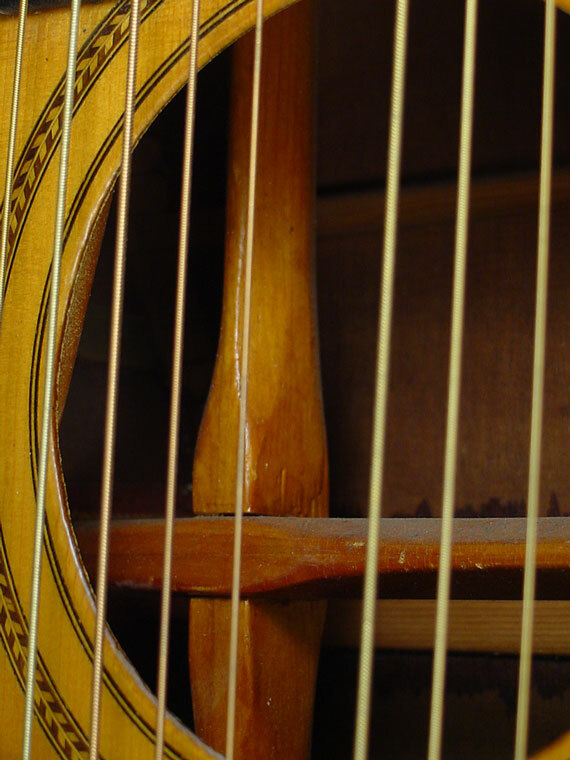 I suppose this harp guitar was handmade by H. Y. Gould in Copper Hill, Tennessee, because the only markings it bears are inked directly into the wood of the neck block and end block. 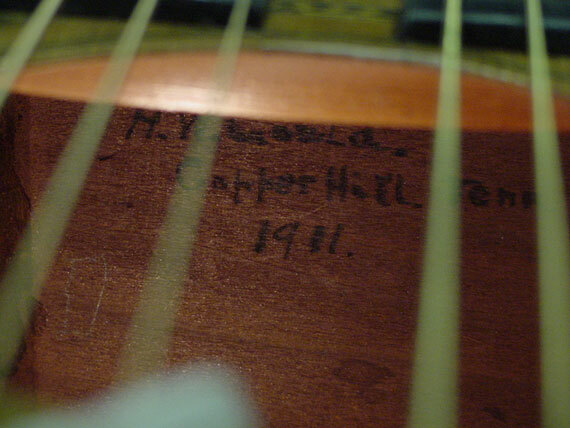 Interestingly, there is a fully finished truss arrangement fitted into the body, and a repair label, also signed by Gould and inked into the end block, dated some ten years after the original label, in 1921. 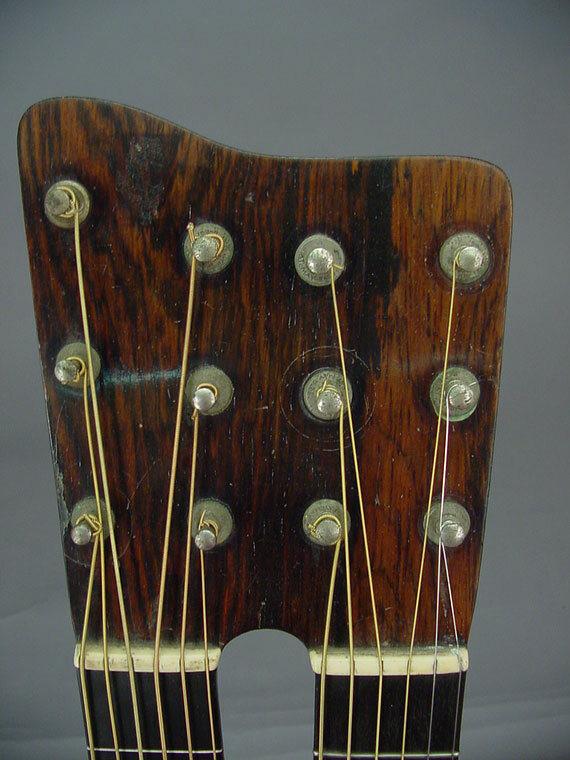 Presumably Mr. Gould performed some "warranty" restoration on the instrument as he removed the back and implanted the heavy mahogany truss. 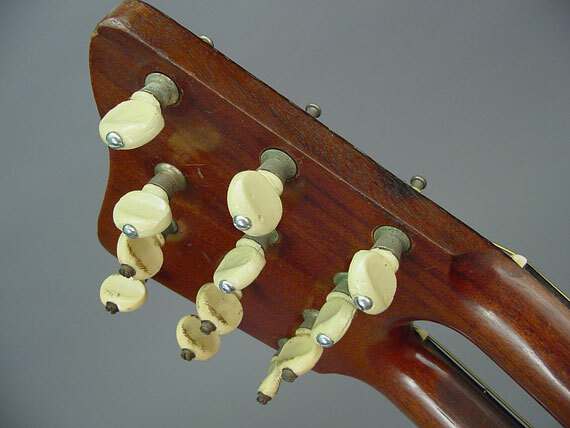 Now, some 80 years later, everything is holding up just fine, thank you.